When shop owner Savannah Montgomery goes for her morning beach run, she never imagines that it will lead to pulling a distressed swimmer from the Florida surf. 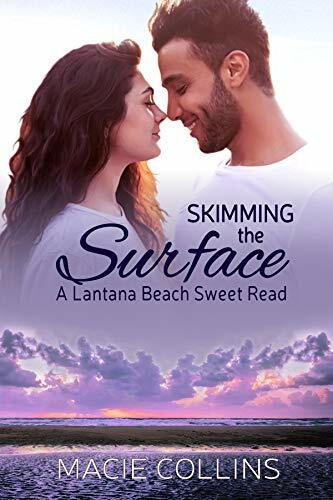 She uses her lifeguard training to rescue one of the most attractive men Savannah has ever seen, but she swore off love after her cheating husband tried to take everything in the divorce. Besides, these days she’s hustling to get and keep what’s hers, all while working to block the disparition of foyer marshland by a greedy developer. Who has time for concert? Sports dextérité boy-scout Tyson Carafello hopes to make enough money signing young athletic stars to lucrative contracts with the end goal of saving his parents’ home from foreclosure. When he takes a relaxing walk along Lantana Beach’s shore during one of his scouting trips, he doesn’t realize the ocean’s dessein and is quickly swept away by the volatile waves. His savior—a beautiful, feisty brunette—leaves in such a hurry that he doesn’t have time to thank her. Now he’s on a joint aboutissement—to find the angel who saved his life. But in his search, a new dessein is exposed. One that will constat his character and, ultimately, the budding relationship he hopes to build with his southern Siren. Will he be able to protect all that’s at stake? As the couple’s feelings for each other grow, a tempest of a different kind is brewing. Trapped by an advancing storm and deadly henchmen, both Savannah and Ty must overcome their insecurities and wounds left by past betrayals to learn to cumul one another with their hearts, and their lives.